Have you been injured because of medical malpractice? We’ll get you the compensation you deserve. Our medical professionals are required to complete extensive educational programs, attend ongoing training, stay current on new technologies and advancements in their field, and they are required to do all this while keeping patients’ well-being and safety at the very forefront of their everyday actions. As medical malpractice lawyers, the attorneys here at The Bennett Law Group know that while our healthcare providers’ intentions are almost always sound, their implementation occasionally falls short. Simply put, mistakes are made. When egregious errors occur and result in a serious injury or wrongful death, someone needs to bear the responsibility of compensating the affected parties for their loss and hurt. The scope of what is considered medical malpractice is wide. It includes any treatment, lack of treatment, or other deviation from accepted standards of care on the part of a health care worker or health care provider that causes harm to a patient. Some of the more common medical malpractice scenarios are: a delay in treatment of a life-threatening illness, a failure to perform surgery or other medical procedure properly, prescription errors, failure to properly diagnose a medical condition, anesthesia errors, and a failure to adequately explain a medical procedure or potential side effects of a procedure or of certain medications. If you believe you or a loved one has been a victim of medical malpractice and you wish to consult with an attorney, please contact us at your earliest convenience. We have achieved significant results for our prior clients in handling medical malpractice cases. To prove medical malpractice, you must be able to show that the medical professional caused your injury, and that they were negligent in your treatment, meaning that the treatment you received fell below what is considered the accepted “standard of care”. 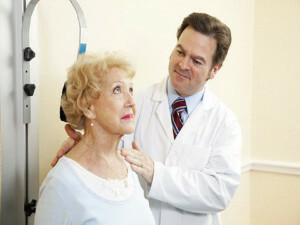 Standard of care is defined as what a reasonable healthcare provider in your community would do in a similar situation. It is not always easy to prove that your doctor has caused you injury, namely because obviously you were not in good health when you first went to visit them, and you as the patient do not have the medical expertise to prove the injury was a result of negligence. In medical malpractice cases, expert witnesses, usually other doctors, are always needed to testify on your behalf stating that the health care professional was indeed negligent. In addition, it is important to be aware of the statue of limitations in your case. The statute of limitations is the amount of time that you have from the date that you were injured to file your case. The statute of limitations for filing medical malpractice cases in the state of Georgia is two years from the date of injury or death. Medical malpractice cases in Georgia have a number of laws specific to this area of practice and it is necessary to have a lawyer by your side who knows the intricacies of this area of the law. The doctor who made the mistake will hire the best lawyers and experts he can find. You need to arm yourself with equally competent lawyers who can go toe to toe with the opponent. If you believe you or a loved one has been a victim of medical malpractice, The Bennett Law Group can help. We will sit down with you free of charge and evaluate your case. Contact us online or call us at 404.541.9330. We look forward to your call.